U CAN DO IT! Click the video to watch Real Estate® TV 3 Real Estate Can-Dos! Can-Dos are easy actions you can do right away to help you make smarter real estate decisions when you buy a new home or commercial property! Hey, Ask me if you have questions 🙂 Click the video or scroll down and read the Can-Dos! What Is It? When you “research the market” you get to know the sales prices of property you like so you know if you are getting a good deal. If your heart is set on a house in on Miami Beach, you should get a feel of the prices for houses in that neighborhood and learn how fast they sell. Some properties sell super-fast others stay on the market for some time. If you love a condo in Downtown Miami/ Brickell, or even Manhattan learn how much other condos like that sell for and how fast they sell. How Can You Do It? You can search property tax records, talk to your neighbors, look up past sales in newspapers, pay attention to the news and public meetings for information on new projects in your neighborhood and find the information on the Multiple List Service (MLS). Real estate brokers keep their ears to the ground and do this type of research everyday, so you can also build a relationship with a real estate broker who knows what you like and keeps an eye out for properties for you. Does It Take A Lot of Time? It could. Real estate brokers do this everyday-all-day. It takes a consistent dedication of time to track real estate prices in a neighborhood. You can reduce the time this research takes by checking in with your broker at least every week to understand the pace of the market sales. Real Estate Can-Do #2: Get to Know a Banker! Why? Your banker will “Show you the Money” aka lend you the $$ to buy your property! Your banker will tell you the amount of money your qualify to borrow. Your banker can also provide you a preapproval letter that will show a Seller you are already approved to borrow and speed up the sale process. How Can You Do It? You can walk into a local bank and ask for someone who can help you with real estate. You can ask someone who knows a lot of real estate bankers to introduce you to a banker who fits your needs – to buy your first place, to buy investment or income generating property. I know lots of bankers and they are super nice people! Does It Take A Lot of Time? No, it doesn’t take a lot of time, but to make the most of your time with the banker you should bring information about your income and debts so the banker can figure how out much to lend you and your credit score. Real Estate Can-So #3 – Make A Move- Make a Written Offer! Why? If your market research shows you the property is a good deal, lock it up! How Can U Do It? Move fast, put the property under written contract. Show you are serious with a deposit and a proof of funds or pre-approval letter from your bank! Does It Take A Lot of Time? No, especially if you have your financing all lined up! If you snooze, you lose in a competitive real estate market. Make sure to get that property under contract. Work with a Broker who moves fast and makes deals happen. 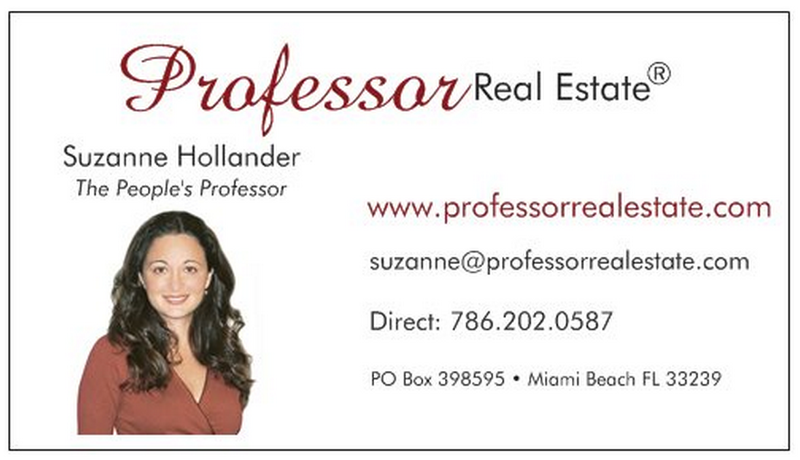 « Suzanne Hollander Awarded Real Estate Mentor of Year! Learn How to Be a Mentor Too!